Chad Evans is a 1992 graduate of Calhoun Falls High School in Calhoun Falls, SC. While playing at CFHS, Chad was a three-sport letterman (5 letters in baseball, 3 letters in football, and 2 letters in basketball). He was a two-time All-Conference and two-time All-State performer in baseball. He was also selected to play in the North/South All-Star Game as a senior in 1992. Chad attended Erskine College on a baseball scholarship and graduated in 1996 with a BS Degree in Elementary Education. Chad graduated from Clemson University in December ('06) with a Master’s Degree in Educational Administration. Coach Evans spent 11 years as baseball coach at Emerald High School. Coach Evans was the Head Junior Varsity Baseball Coach in 1997 and compiled a record of 7 wins – 5 losses. 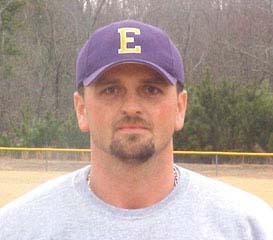 In 1998, Coach Evans was named the Head Varsity Baseball Coach. 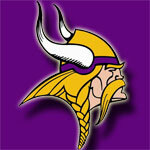 In his 10 years as Head Coach, the Vikings compiled a record of 160 wins – 86 losses and 1 tie. In 2002, Coach Evans was selected to coach in the North/South All-Star Game. During the 2004, 2005, 2006, and 2007 campaigns, Coach Evans was selected as the Region III-AA Coach of the Year. Also in 2005, Coach Evans was selected as the Class AA State Coach of the Year by the South Carolina Baseball Coaches Association. The 2001, 2002, and 2005 Viking squads were Lakelands Pre-Season Tournament Champions. The 2006 team won the inaugural Emerald City Classic. His 2004, 2005, 2006, and 2007 teams won the Region III-AA Championship. The 2005 team won the District 3 Championship and Emerald’s first Upper State Championship in baseball. The 2005 team set 69 team and individual records in the magical Upper State Championship season. The 2006 squad set the school record for wins in a season with 25, won the District 3 Championship, and played for the Upper State Championship. The 2007 team won 24 games, went 10-0 in Region III-AA, won the District 3 Championship and played for the Upper State Championship for the third consecutive year in a row. Coach Evans is now the Principal at Brewer Middle School in Greenwood, South Carolina. He is married to Emmy Evans and the couple have two children, Preston Luke Evans (9) and Riley Layne Evans (5). They are members of Rice Memorial Baptist Church.